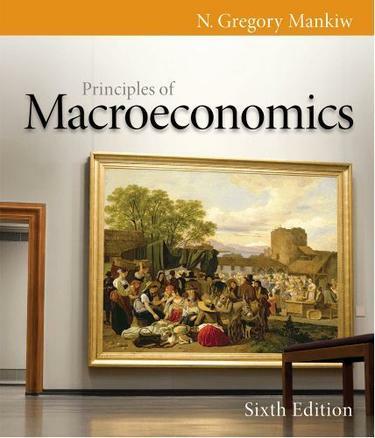 PRINCIPLES OF MACROECONOMICS, Sixth Edition, became a best seller after its introduction and continues to be the most popular and widely used text in the economics classroom. Instructors found it the perfect complement to their teaching. A text by a superb writer and economist that stressed the most important concepts without overwhelming students with an excess of detail was a formula that was quickly imitated, but has yet to be matched. The sixth edition features a strong revision of content in all twenty-three chapters. Dozens of new applications emphasize the real-world relevance of economics for today's students through interesting news articles, realistic case studies, and engaging problems. The premier ancillary package is the most extensive in the industry, using a team of instructors/preparers that have been with the project since the first edition. The text material is again fully integrated into Aplia, the best-selling online homework solution. I have tried to put myself in the position of someone seeing economics for the first time. My goal is to emphasize the material that students should and do find interesting about the study of the economy.--N. Gregory Mankiw.